Nissan has announced the start of field tests for the 100% electric e-NV200 compact van in Saitama City (Saitama Prefecture), one of the city authorities that have expressed enthusiasm for increasing the number of electric vehicles (EVs) on the roads as one step towards improving air quality. Based on the agreement signed between Saitama City and Nissan for the E-KIZUNA Project in 2009, the vehicle will be used as a field test car to facilitate deliveries between the Saitama City Hall and city offices. Saitama City will put the e-NV200 through its paces as it travels between Saitama City Hall and other municipal offices in the course of conducting regular business. The vehicle will be evaluated for environmental-friendliness, usability and economy. The City’s ultimate goal is to implement sustainable transportation solutions by promoting the adoption of EVs. 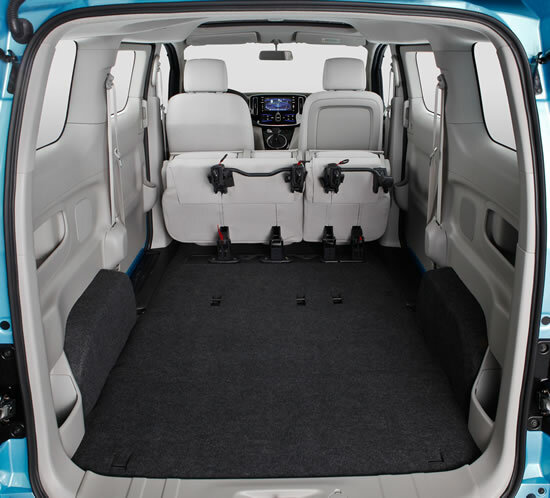 e-NV200 displays great potential for businesses, with its advanced telematics system and power-supply function in the cargo compartment.